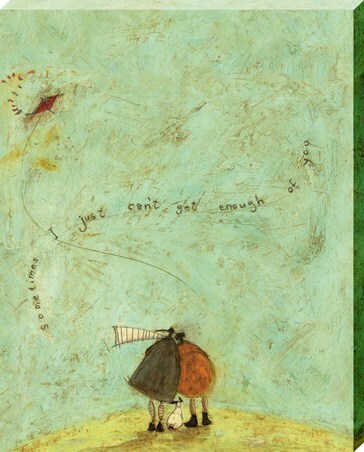 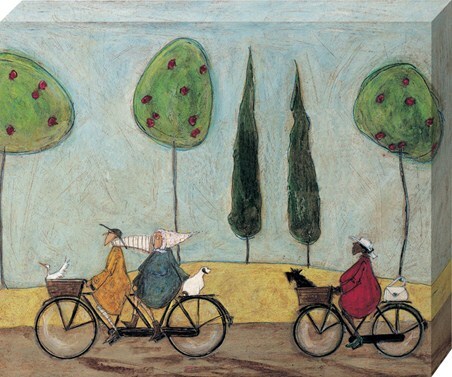 Join in the gossip with Violet and her friend along the promenade with this Sam Toft canvas print. 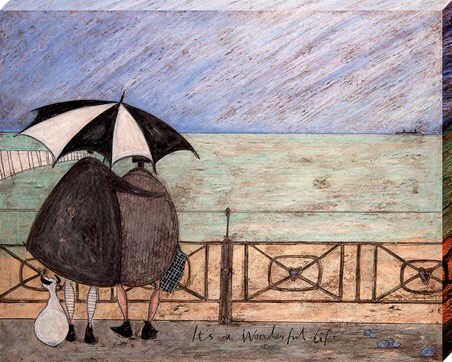 This textured view of the sea gives us an insight into the world of the Mustard's and their beloved Jack Russell. 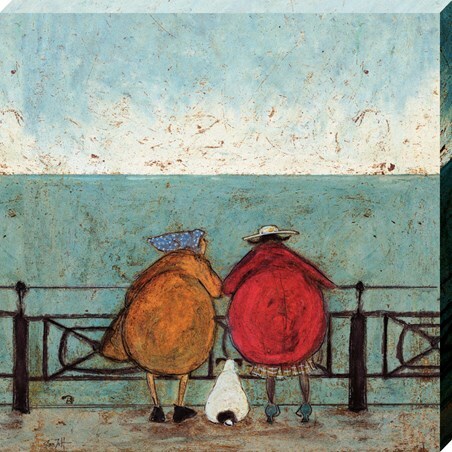 Featuring an adorable scene where the friendly pair are catching up next to the sea whilst Doris the plump little dog plays piggy in the middle as he listens into their conversation. 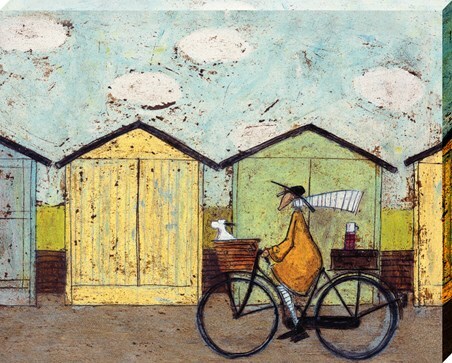 High quality, framed Doris Earwigging, Sam Toft canvas print with a bespoke frame by our custom framing service.